2008 PRISM AWARD FOR BEST NEW CUSTOM HOME IN THE DESERT. As seen on MTV Cribs. MTV Award: Best House on Cribs. ASID (American Society of Interior Designers) 2009 Award: Best Exterior. Featured in December 2009 and February 2010 issues of Palms Springs Life magazine and May 2011 Desert Magazine. The home has been featured on many tours. This contemporary 6600 sq. ft. home was designed by David Prest, and was completed in 2008. The architect has masterfully brought the South Pacific to the desert. Located in an exclusive private community of five estates each on 1 1/4 acres,with spectacular mountain views, this home offers the very best in entertaining! As you enter the greatroom, with the two remote sliding pocket doors open totaling 35', you have that instant feel of bringing the outside in. The home features a two-sided fireplace that anchors the family room and partitions it from the living room. Jeff Jones, the interior designer, has used bamboo as a design element throughout the home. Features throughout the home include 14' ceilings, the very best in appliances, travertine floors, custom cabinets, custom stone work, granite countertops, and unique stone sinks in every bathhroom. The outdoor living area is simply amazing! Like no other in the desert! There's a 4000 sq. ft. pool that features two islands, one with a bridge and four gas firebowls. There's an authentic Thai hut thats surrounded by water to relax in, also a thatched roof palapa hut covers the barbeque area. The lushly landscaped grounds features a nine hole putting green that wraps around the entire yard! Whether you are looking for your own peaceful, private resort, or a place to entertain a hundred friends, this home can be both. Its perfect for weddings, special events, Corporate events, private gatherings, or golf get aways! Ask me about my 3 unit Beachhouse! The Absolute Best Location on the Beach in Manhattan Beach California! Born and raised in Chicago, graduated from Southern Illinios University. Moved to L.A. in 1982. My primary residence is a home on the beach in Hermosa Beach. I purchased the lot in 2000. Finished building the home in 2007. My influence to the design, furnishings, and back yard has been my many travels to Thailand. I spent 2 years visiting many different resorts in Thailand. I have tryed to recreate a Thai resort. Everything in the home and exterior is authentic Thai. Like no other in the desert! Great place with a good location. Gary was very easy to work with -- would stay again. We had a group stay here for my 40th birthday and the house and pool were even more amazing in person. I can’t encourage you enough to book this house! No amenity was spared. We will definitely be back when the weather is nicer. Gary was so great to work with leading up to our stay and also during our stay. Lifetime memories were made enjoying this former MTV Cribs house! A Gorgeous & Relaxing Vacation Home! Our family (8 of us) stayed here in October 2018. We arrived at different times & all our first impressions/reactions were the same...OMG this is a HOUSE!!! The great room/family room is ginormous yet cozy. The kitchen is any cook's dream with plenty of space to prepare a feast. It was cool having a bar area too. All the bedrooms were roomy with large bathrooms and comfortable beds. But the crowning jewel of this fabulous home is the backyard. The pictures don't do it justice. It really is like having an entire resort to yourself. So many spots to relax, whether all together or by yourself. We liked how you could choose to be in the shade or the sun. And there was no shortage of pool towels or pool floats. Plenty for everyone. The younger members of our family saw the pictures we were posting & now THEY want to rent this home! All our group rated this vacation one of the best we've ever had. We're already planning our next trip! Shout out to Gary the homeowner, who was very accommodating and easy to reach by phone or text. Thank you Gary for your hospitality and sharing your home. Please don't ever sell it lol! We'll definitely book again. Last weekend we had a reunion of college friends and their families and this place was perfect for the occasion! It was like a resort all our own! So relaxing and everything we needed was there. Gary was very responsive and helpful with any questions we had. This is my second time staying at this house and I would definitely go back again! It was a beautiful house and a perfect place for my 80th birthday celebration with my family. We couldn’t have had more fun, with the pool and golf and other games. It was a perfect place for our family get-together. The house was fantastic. The music system is wonderful. Plenty of space for all 17 of us. Beautiful grounds all around. What else can I say. It was a wonderful weekend. The owner Gary Ashe was a pleasure to work with and prepared the property prior to our arrival to insure our maximum enjoyment. The house is a great size and well equipped. 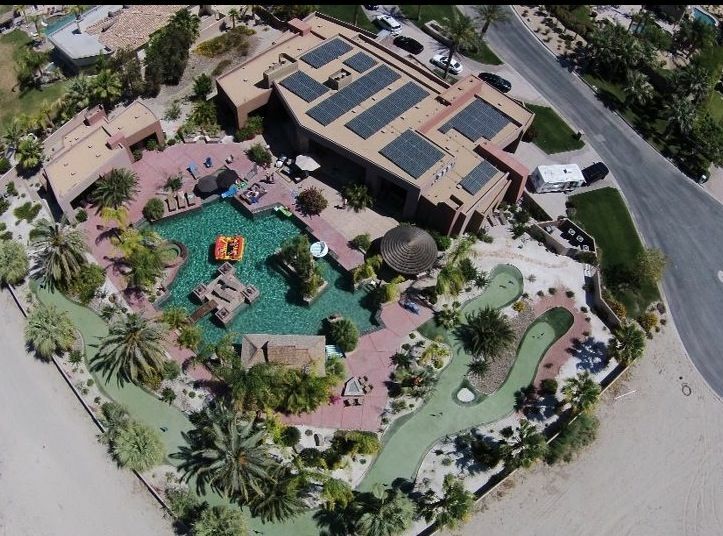 I don't believe you can find a better rental in Palm Springs and the surrounding communities.